Sen. Elizabeth Warren (D-Mass.) speaks at the 2018 Nevada State Democratic Convention in Reno, Nev., on June 23, 2018. 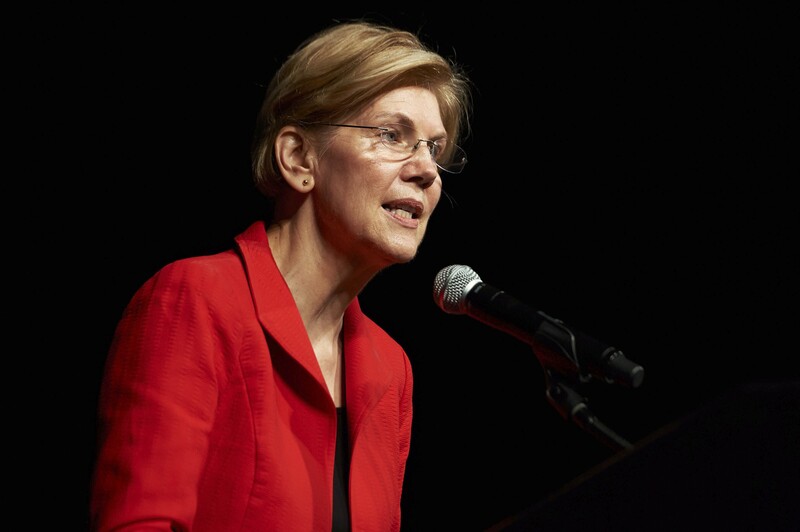 Signaling even more strongly her intent to run for president, and to forcefully confront President Donald Trump, Warren on Monday, Oct. 15, 2018, released the results of a DNA test that she said indicated she had Native American ancestry. Sen. Elizabeth Warren, D-Mass., a sharp critic of big banks and unregulated capitalism, entered the 2020 race for president on Monday, becoming the first major candidate in what is likely to be a long and crowded primary marked by ideological and generational divisions in a Democratic Party desperate to beat President Donald Trump. In an 8:30 a.m. email to supporters on New Year’s Eve — 13 months before the first votes will be cast in the Iowa caucuses — Warren said she was forming an exploratory committee, which allows her to raise money and fill key staff positions before a formal kickoff of her presidential bid. Warren also released a video that leaned on the populist, anti-Wall Street themes that are sure to be central to her campaign message. The race for the 2020 Democratic nomination is poised to be the most wide open since perhaps 1992, with the party leaderless and lacking obvious front-runners. After a midterm election that saw many women, liberals, minorities and young Democrats win, the primaries and caucuses next year are likely to be fought over not only who is the most progressive candidate but also which mix of identities should be reflected in the next nominee. Warren, 69, is among the best-known Democrats seeking to take on Trump, who has already announced his re-election campaign, but she also faces challenges: recent controversy over her claims to Native American heritage, skepticism from the party establishment and a lack of experience in a presidential race. Two potential top-tier candidates who have run before, former Vice President Joe Biden and Sen. Bernie Sanders, are eyeing 2020 and are expected to disclose their plans this winter.